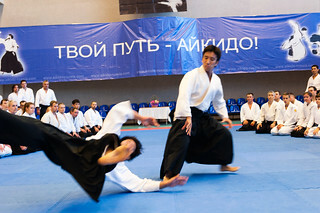 On a purely physical level, the Japanese martial art of aikido could be considered a method of self-defense that involves throws and joint locks that are derived from ju-jitsu, and a few other techniques derived from kenjutsu. It does not allow the punching or kicking of opponents, all its focus is on using their own energy to gain control over them. 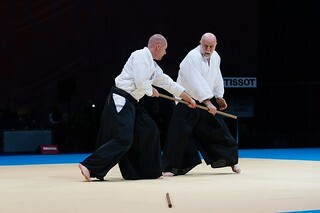 Aikido is never static and places great emphasis on motion and the dynamics of movement. 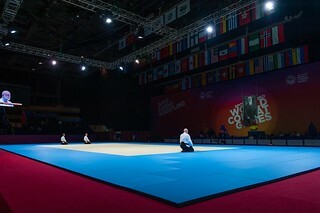 "Whenever I move, that is aikido," said Morihei Ueshiba, its founding father at the beginning of the 20th century. 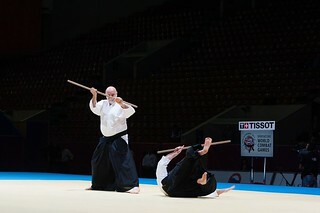 Still endorsing Ueshiba's philosophical concept of harmony and peace, aikido refrains from real combat between its practitioners.